BUJUMBURA, BURUNDI/NEW YORK, FEBRUARY 15, 2013—The only medical facility in Burundi providing free, comprehensive treatment for obstetric fistula may close due to a lack of trained medical staff, the international medical humanitarian organization Doctors Without Borders/Médecins Sans Frontières (MSF) warned today. The Urumuri Center, located in the city of Gitega, is run jointly by Burundi’s Ministry of Health and MSF and is the only facility in the country providing free, comprehensive treatment. Since its opening in July 2010, 1,000 operations have been performed there, enabling women to return to normal life and emerge from the social exclusion that often accompanies obstetric fistula, which is caused by complications during childbirth and can lead to incontinence. The surgeons who perform the procedure are expatriate volunteers with MSF on assignment for limited periods of time. 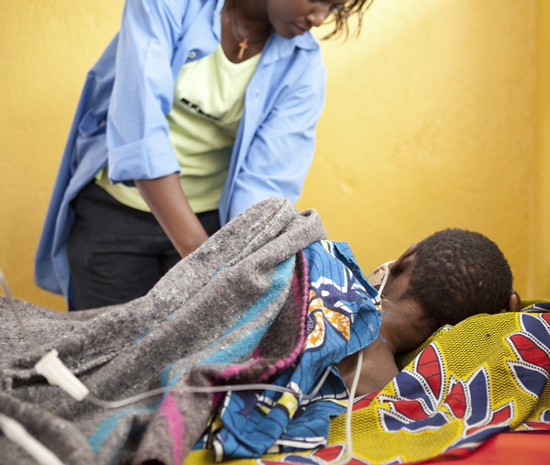 Approximately 1,200 women develop obstetric fistulas in Burundi every year. MSF fears that the Urumuri Center will close when the program is turned over to the country’s authorities. MSF has been working in Burundi since 1993 and currently manages three projects, two of which focus exclusively on maternal health.